I am a Titans fan and over the years the Ravens admittedly were not my favourite team lol. I miss when the Titans weren't complete garbage and the clashes both teams used to have. That being said this past week was probably one of the best playoff games I have ever seen the Broncos and Ravens and the Ravens totally deserved to win that game. However, no team do I dislike more than the Patriots and I have to say I am loving all the gif images. Keep it up . Bottom line, even with my Titan bias I still respect the Ravens and Ray Lewis deserves to at least get to the big game for his last hoorah. I hope the Ravens march into New England and hand them the loss they so deeply deserve. Best of luck the rest of the way guys and am I the only one who wants a Harbaugh brother Super Bowl? I too want the Harbowl... if only because I know the 49ers to be the more well respected team around the league... and the stage will be that much more grand. Since this team couldn't make things easy for itself by winning the #2 seed when they had the chance... and since the road has already seemed to take the toughest path we could take... I want to make it as tough as it can be. If we get the Falcons, I think we can proceed to run all over them and make plays. But I want the 49ers and their read-option. I want that 49ers front 7. I want Kaep and Gore and Crabtree and Davis... and I want to beat them so that everyone can respect this team and not simply make excuses about how we beat some mediocre/overrated team. But then again... the excuse if we win probably is because Kaep is a rookie and handed you guys the game. I'm so excited for this game! I went to the gym today and watched The Ray Lewis Rise Video right before I started lifting and I set a new personal best bench press by 20 lbs. There really is something about Ray that just pumps people up and I cannot wait for Sunday. Anyone else thinking about heading up to NE to go to the game?? Anyone else thinking about heading up to NE to go to the game?? I was thinking about it. And when I was looking around, I saw a few pairs of seats for relatively reasonable prices - given the stadium, the situation (championship game), and the area (lower level seats). But money isn't really the issue for me, it's that with me being a recent college graduate I'm in a much more fortunate situation than a lot of my friends who are either still in school or working at less than stellar jobs, at least financially. So it would probably be pretty hard to find someone willing to spend that kind of money from my group of friends to go up there, that and you're probably not going to find a decent price on good seats for more than 2 people. ESPN will never, ever, go against the Patriots. It's just who (and where) they are. Of course they wanted a Manning-Brady showdown for the AFC Championship. Headlines like that would lead to more popularity for pregame discussions they would have on their network. I've honestly disregarded most of their opinion-based content for years. They have agendas to meet and that's fine because ESPN is a business first and foremost. You just gotta sift through a lot of crap to find the occasional gold nugget. Ref for the game is Bill Leavy. ^^^^anyone recall him ever screwing us? I actually think he's been pretty favorable to us in the few games I remember seeing his face in. 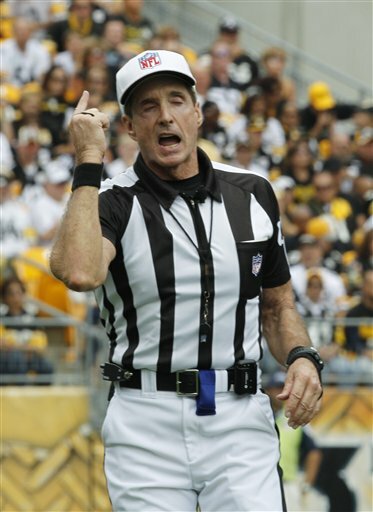 Not to say there doesn't remain the off-chance we once again get screwed by the refs, but I think we should have a relatively fair, clean-cut game with Levy and co. And if nothing else, at least we can say, thank goodness it's not Mike Carey. I know it wasn't involving us, but isn't this the ref from the Steelers vs. Seahawks Super Bowl a few years back? Who do they think stopped Denver, from "making it happen"? The pick isn't surprising; the wording is funny. but isn't this the ref from the Steelers vs. Seahawks Super Bowl a few years back? 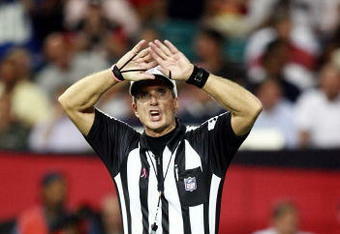 He is, in my opinion he is probably the worst ref in the NFL currently. He can't be worse than Mike Carey. Not possible. Both are up there, i do think Leavy is worst since at least Carey can communicate his ruling to the crowed much better than most refs in the NFL, better than Leavy for sure. I'm really dithering on this. Part of me really wants to go, but I have to work on Saturday and it's busy season in my line of work (financial services). Would take some creative maneuvering by me to make the trip work. As you mentioned the money isn't really the issue. Anyone know what the yards per attempt record is? 12.26 against Indy has to be up there.